A silver plated trophy cup with ornate handles and a celtic design rim. 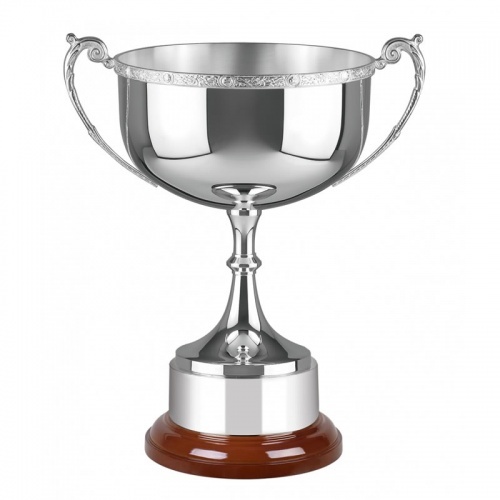 This celtic design trophy cup makes an ideal award for a wide range of sporting and other achievements. It is particularly suitable for any event with a Scottish, Irish, Welsh or other celtic theme. Sold complete with silver plated plinthband and wooden base.